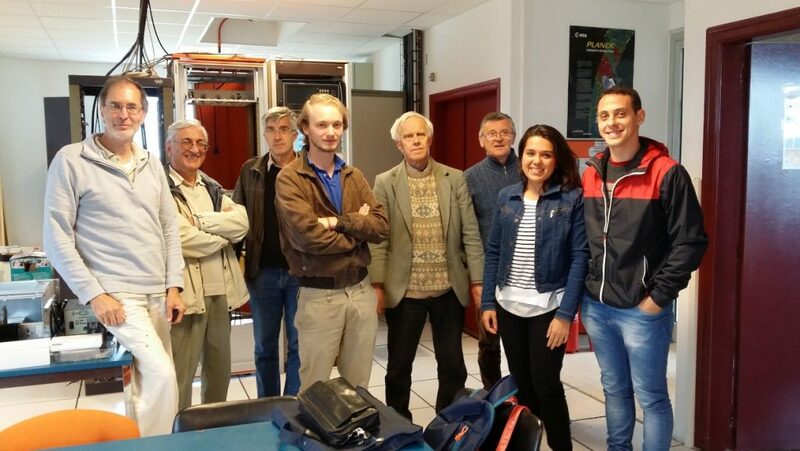 Today we had a meeting with a group of students working on a VLF project. This project aims to detect long term phase drifts of MSK modulated VLF signals. The phase perturbation is the result of high energy radiation bursts from the Sun interacting with the atmosphere on the Earth. Patrick leads this activity and has been working since February with a group of five students. They came to visit us with their supervisors: Emmanuel Daniel and Rolland Fleury from the optics and microwave research departments of Telecom Bretagne. This entry was posted in VLF. Bookmark the permalink.